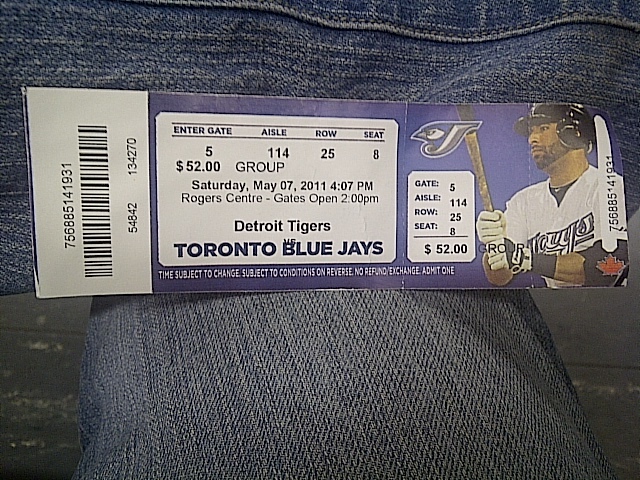 It was some of the most fun I have ever had at a Jays game in all honesty. I mean, I have been to numerous games in the past but never with such a large group of people when I wasn’t on a camp or school field trip. The sun was shining, the dome was open, there was good friends around, baseball to watch, and beer to drink. Unfortunately, the Detroit pitcher – Verlander – pitched a spectacular game only giving up 1 walk en route to a 9-0 win. It was his 2nd no hitter and the first one I’ve ever seen in real life. So at least I can take that positivity from today aside from the good times with friends. 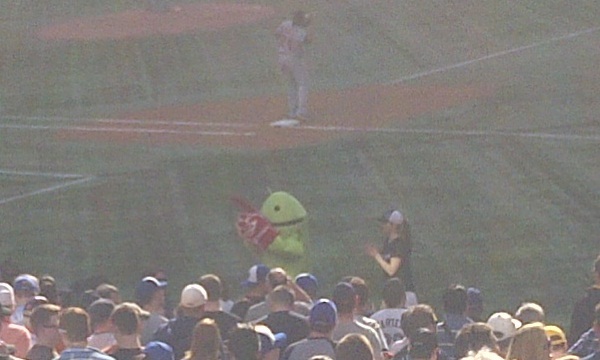 Rogers is really getting into the corporate advertising at the Rogers Centre, during the 7th Inning Stretch we not only got to see Ace & his younger brother Junior dancing to “OK Blue Jays” and “Take Me Out To The Ball Game” we also got the Google Android operating system’s mascot – the Android! I also was introduced to what I think may be the greatest invention since sliced bread – the bottom filling beer cup officially called the Bottoms Up Cup made by GrinOn Industries. Check out the picture below to see what I mean. I still have no idea how exactly it works except to say that the thing is manufactured with a hole in the bottom then a magnet (which can be taken home later if so desired) is put on the hole from the inside after the cup is finished filling. 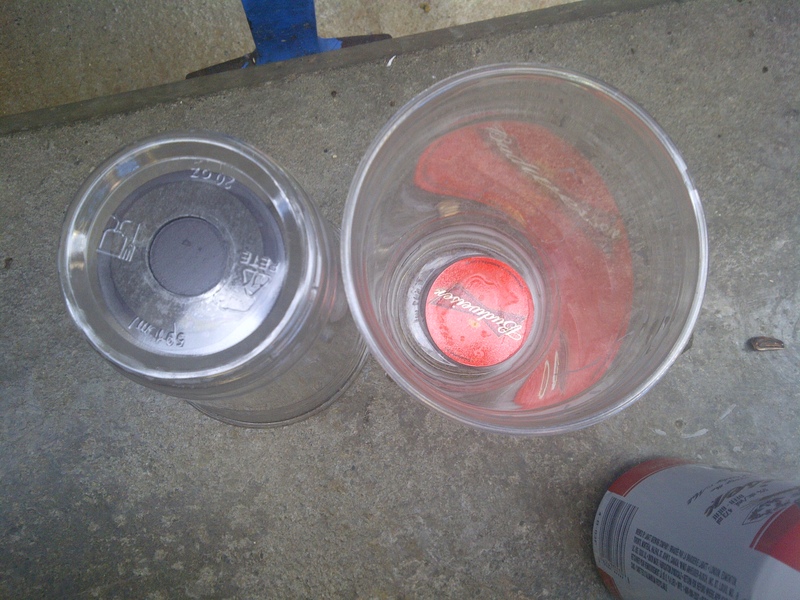 I think the way it works is that the weight of the beer keeps the magnet down but that doesn’t make so much sense because if you look at the picture below you can see even though I have flipped over an empty cup the magnet still stays over the hole and does’t fall. More research into this is clearly required. In my opinion, whoever invented it should be immediately drafted into the space program and given a Nobel Prize.